Sustainability and lowering our carbon footprint are both things that we’re all passionate about here at Peppersmith HQ. Flowers are often overlooked when it comes to being kinder to the environment, as how they’re sourced and transported isn’t well known. So, we’re introducing you to the eco-warriors of the florist world – Little Bud. Here’s a little snippet of our catch up with co-founder Georgie who gave us some insights into what goes on behind the brand. We love your mission to make the flower industry more sustainable. What inspired you to come up with this idea? The initial idea was a really simple one – how could we send affordable flowers as small tokens to friends, but ones that still felt super personal and delighting. We wanted to say ‘hey, you’re the best!’ on a whim but not spend a fortune. When we started experimenting with flowers a natural curiosity led us to look into where they were from. That’s when we realised that all these beautiful stems were from the far flung reaches of the globe and that there is a massive environmental and social cost to having a year-round supply of what should be such a seasonal product. People we speak to are just as shocked about the flower industry as we first were. Some 90% of flowers sold in the UK are grown overseas, they are likely to have the largest carbon footprint of any other consumable in your home, other than your fossil fuels. Sadly enough, some are likely to also have been grown on farms where the mostly-female workforce is exploited and even abused. What were you both doing before you started Little Bud? Both of us were working in international development – that’s how we met. I was spending most of my time in Africa and Asia running agri-business projects and Laura was working on sustainability campaigns. Because of this, I guess we both came to LITTLE BUD looking to run a business with the same sense of purpose. While we both love flowers, the mission to change this huge industry really ignites us. Only using bicycles and electric cars to deliver your flowers is something we’re huge fans of. What else are you guys doing to reduce your carbon footprint? Our vans are bright green, so there’s no mistaking their eco-credentials! There’s a load of other stuff we’re doing to reduce our footprint; sourcing flowers as locally as possible, using only recycled and recyclable packaging, having only one style of bunch a week for sale rather than a huge range that will go unsold and end up in the bin. We’re also always looking for other ways we can be even more sustainable, it’s the beginning of a journey for us. We’re currently on the hunt for the most eco-glass we can find for our vases, any suggestions welcome. Your photos on your website and social media are absolutely beautiful. They’re definitely enough to make us want to place an order right away. Do you do all the photography yourselves? We’re so pleased you like them! I have to confess that more effort than is probably reasonable goes into our images – it’s one of the most enjoyable bits of the job! We have an amazing photographer on Team LITTLE BUD and she takes all of our shots. We’re very lucky that the flowers are so naturally photogenic, but she certainly deserves all of the credit for the end result. And lastly, the big question… What’s Little Bud’s mission? Where do you see the brand in 10 years time? We want to play a big part in creating a movement in flowers in the same way Fair Trade and organic did for food and clothing. There’s an awakening in consumers and growers that things need to be done differently, and the more we can do to drive that agenda, the better. While we’re only servicing London at the moment, we’d love to be able to deliver to people’s friends across the UK – spreading our ‘give a little love’ message as we go! Laura (left) and Georgie (right) – the women behind the brand. If you like the sound of Little Bud as much as we do, then head to their website to place an order. We know you won’t be disappointed. 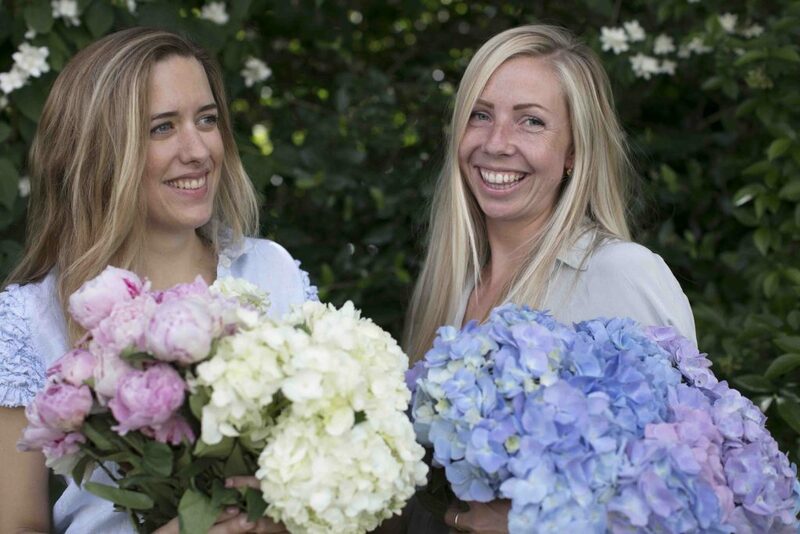 The post Little Bud: a catch up with the sustainable florists appeared first on Peppersmith.